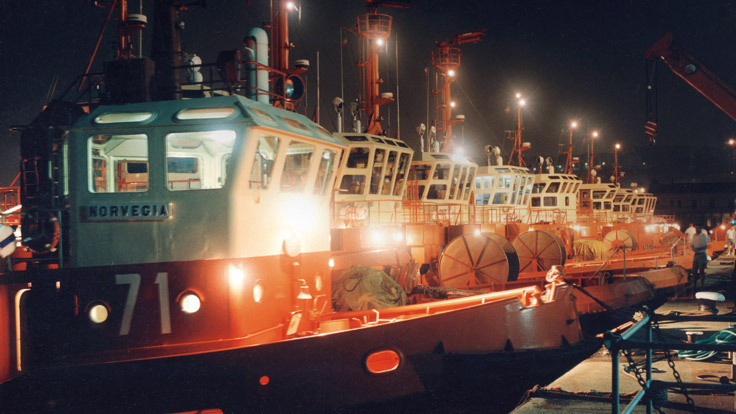 Established in 1955 by Salvatore Cafiero in Augusta (Italy), the Rimorchiatori Augusta Spa is a provider of maritime services operating in harbour towage business. Rimorchiatori Augusta Spa is a member of Assorimorchiatori and of ETA – European http://www.rimorchiatori.com/wp-admin/edit.php?post_type=pageTugowners Association. Harbour towing services are carried out under long term public concessions in Augusta, Siracusa, Catania and Pozzallo. Operations in Augusta and Siracusa are mainly involved with the petrochemical industry, while the ports of Catania and Pozzallo are focused in passenger ferries and merchant ships. Rimorchiatori Augustea Spa has implemented and maintains a Quality Management System and has always been eager to comply with the latest safety developing standards.